We have been living in our house for a year already! What? I don't know how that's possible, but anyway. I thought it would be fun to take you on an updated house tour to show you some of the things I've done over the past year. 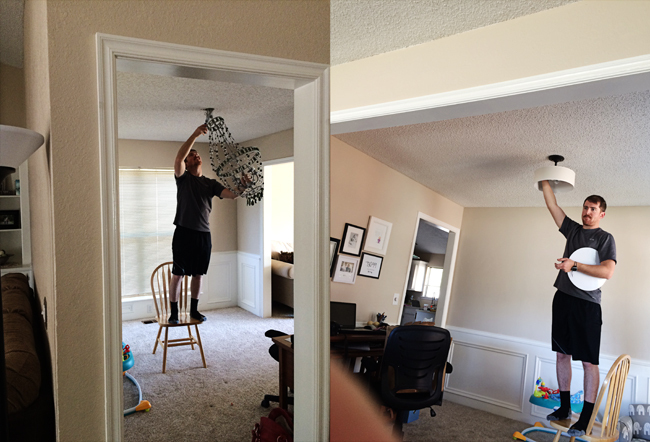 We still have a list of home projects to do that I need SOMEONE (ahem, Jordan's) help with, but since I am the woman, I handle all decorating. Because here in the Bumgarner household we feel very strongly in maintaining gender stereotypes. Hashtag feminism. I've linked to the original post where appropriate so you can go back and see the comparison. 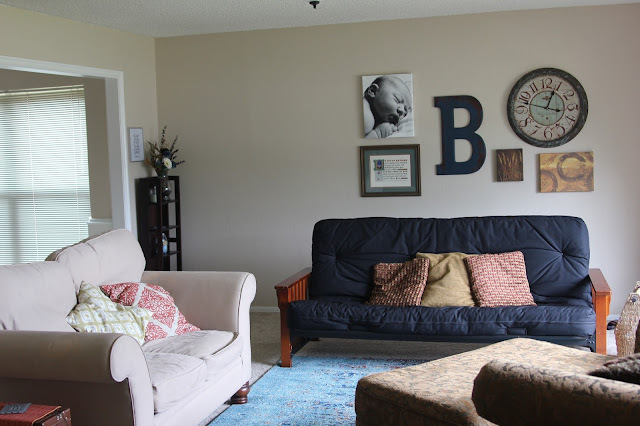 Here I linked to a photo of our living room originally, and below is how it looks today! 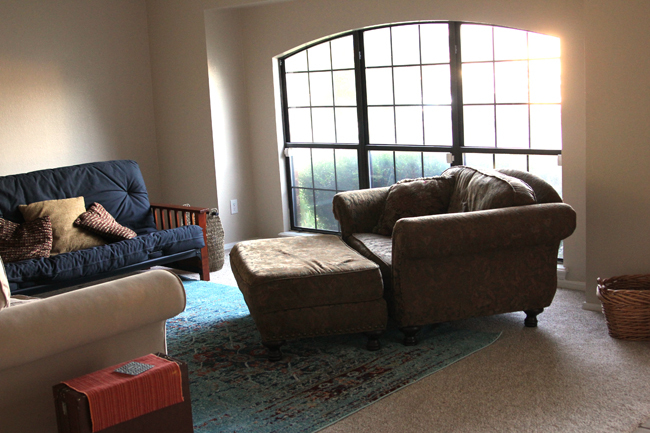 We bought a new couch (see photo below), so we moved our white love seat into the front room, rearranged the other two pieces, and added a rug! 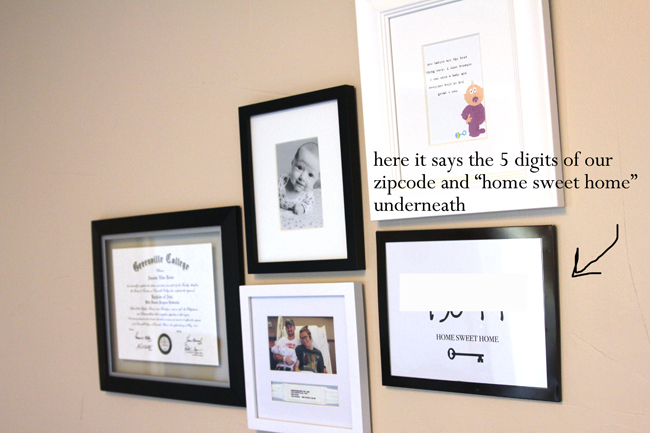 My mom helped me put together the layout of the stuff on the wall, and I love it! She's the best. I have not had a full-sized couch since moving to Oklahoma eight years ago! Our white love seat was big enough for two people, and having a couch that you can actually stretch out on is the most magical thing ever. 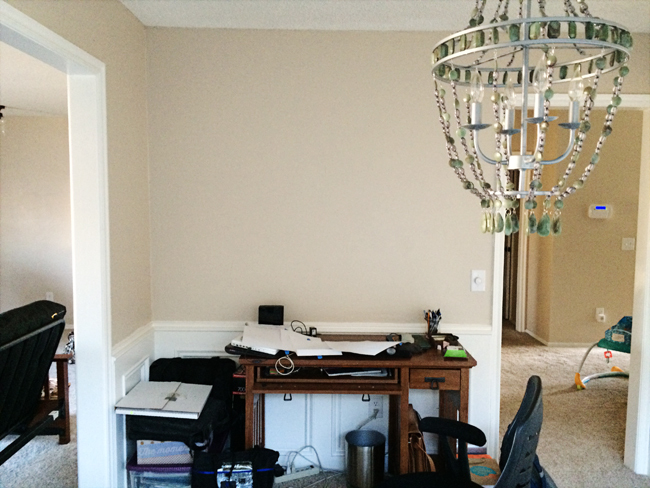 Right behind the wall where the couch is, is an office/dining room-type area that right now houses my desk. 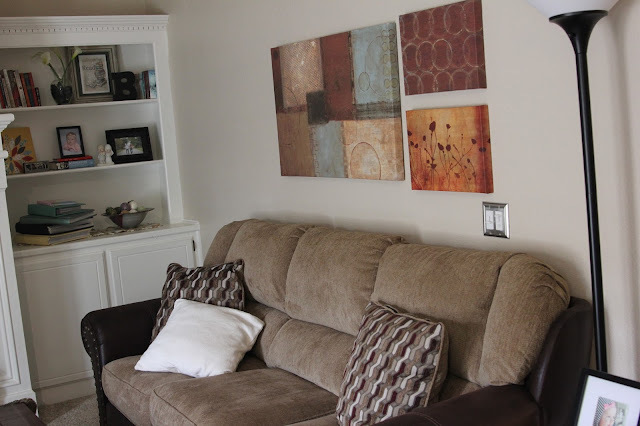 Below is a before/after shot of how this space looks. I still need to clean up this area and get shelving, but for now I'm happy that I'm at least moving in the right direction. Below is before. Note the chandelier and the blank wall. Jordan put up a new light for the room, and I added a gallery wall. Sorry the lighting is terrible. As you can see, it's a little uneven, which was the intent because I can add other frames if I find them, and if not I think it looks good as is! On to our bedroom. 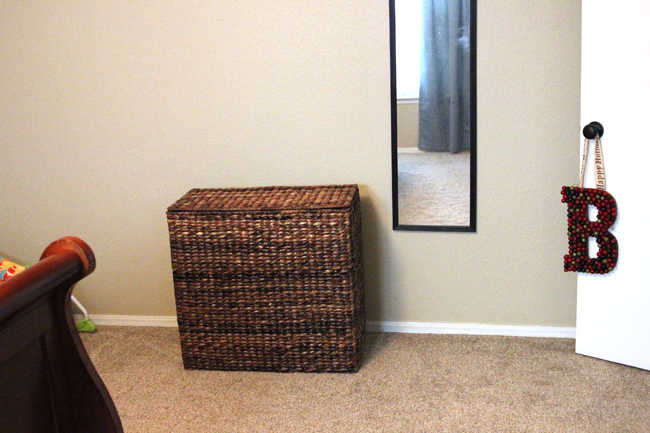 I bought this awesome two-sided laundry hamper from Wayfair, which we love. Jordan's work clothes get all dirty, and I have my running stuff, so we wanted a hamper where we could separate that stuff from our nicer clothes. 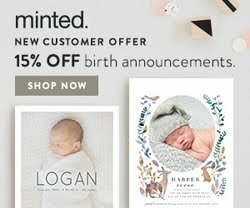 Anything with "special instructions" (hang dry, whites, delicates, etc.) goes in the right. We just take out the entire bag, dump it in the washer, and done! No sorting necessary. Remember my ongoing saga of the shelf above the toilet in the master bathroom? Well thanks to your suggestions, I think I'm finally done. See this post for the original empty wall and comparison with the new shelf. And now see below! I found the horizontal sign at "At Home" (formerly Garden Ridge), and I bought the clock at Target. 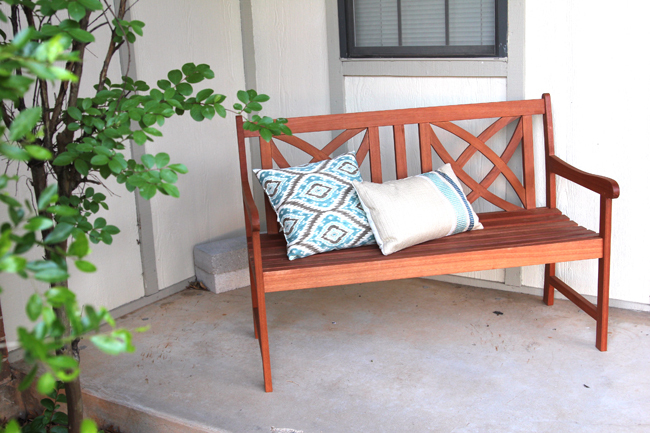 Finally, I bought a bench and pillows for our front porch. I sit out here as much as possible because outside = love. R loves sitting out here with me! My mom suggested I get an outdoor rug, so that's on my list to buy at some point. So that's what we've done so far! Of course there are a lot of other projects on our list, including a new oven, new dishwasher, back patio furniture and putting up a new canopy, window curtains for the front room and kitchen, a screen door for the back. That's just for starters. I'm so thankful for our house and love the improvements we've been able to make this year! This makes me so excited to decorate my own house soon! That laundry basket is so smart-I hate sorting laundry! It's looking good! I love that blue rug in your living room. Our one-year will be at the end of August and I can guarantee our house will not look nearly as polished as yours does! We still don't even have curtains up in our living room (sigh). Mad props, yo! I love all the decorations! We've been in our house for over two years and there are SO MANY things I still want to work on! I love love love that framed wash scrub etc. 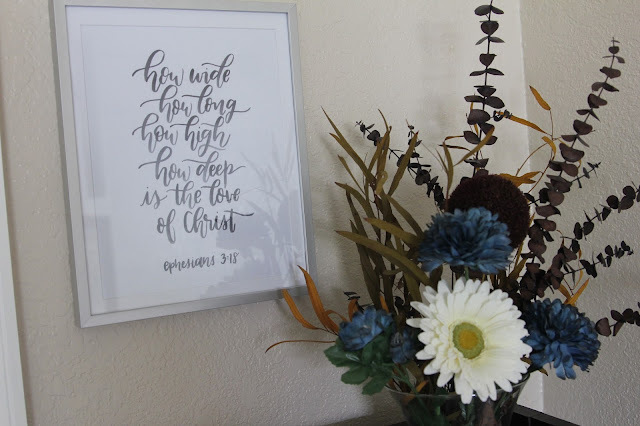 artwork in your bathroom! Love all the updates you've done so far! :) Houses are never ending projects, at least to me! 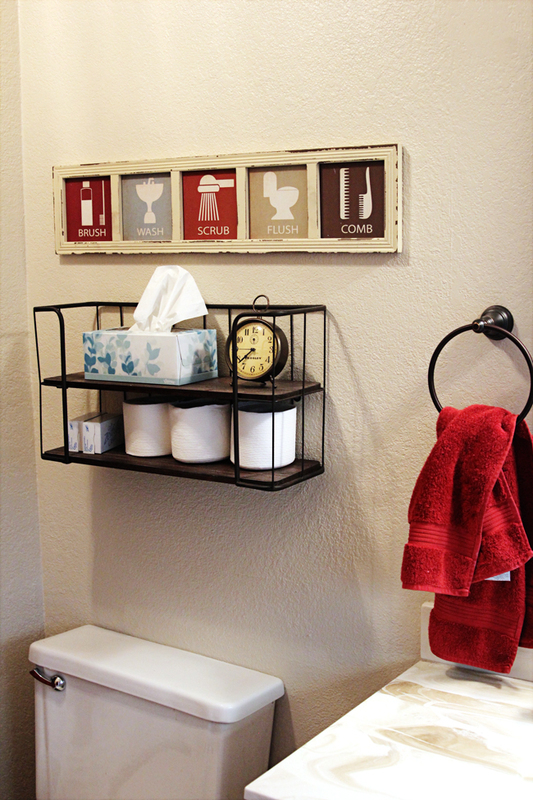 Your bathroom looks great with the addition of the little sign- perfect find. I also might need to get a laundry basket like that... Jared's clothes from the factory get gross/smelly and I don't like putting my dress clothes in there with his haha! Yes, that's exactly it! We love having a double hamper now. So easy! You have done a lot and it looks really great. Do you have a World Market? 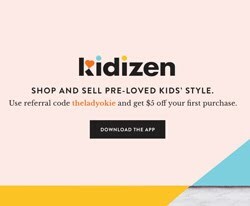 I bought an outdoor rug for our house there (but it doesn't look right with my decor so I'm returning it) but the point I'm getting at is that they, I think, are on sale right now and you can sign up for their coupons and get an extra 15% off. The rugs start at $20. I love porches! Also, Wayfair is really a great site! I have bar stools I want to order from them. It's really coming together! I love that with the house, you don't have to rush because you'll be there for a long time. And you can put holes all over the place if you want to change things because you own that wall! Side note: I have the same desk! 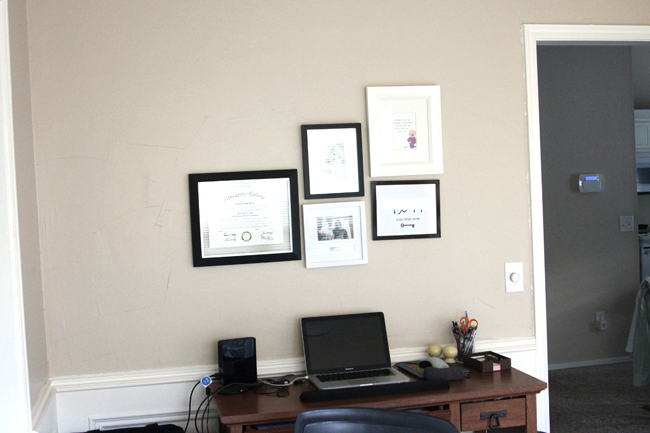 Loving your little gallery wall! We've talked about trying one forever but I'm afraid it won't all mesh together...but I think the more mismatched the better! ;) your updates are looking great! Can't believe its been a year!! We bought a bench for our front porch back in Michigan and loved sitting out there and eating dinner. I love the window in your living room! Big windows are so cool. We're coming up on one year in our current apartment--I like it a lot, but I haven't invested much into making it stylish or homey...I guess it's hard to do that when you don't know how long you'll be in a place. I love a good gallery wall! Lookin good all around! I think we do totally have the exact same light! Putting in a screen door at our last house was one of the best investments ever. You can't beat that amazing fresh air blowing through the house! 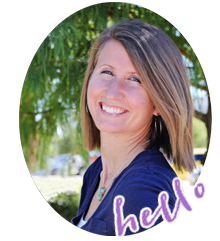 Making a house a "home" is so fun! Everything looks great! I love all your little gallery walls and framework! oh my gosh i love the bench! so cute. and the zip code artwork, so cool! 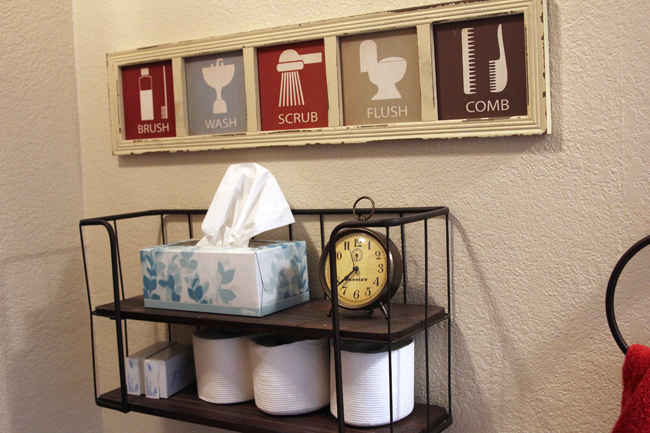 i also really like the sign in the bathroom, and that little clock. and the hamper is brilliant. 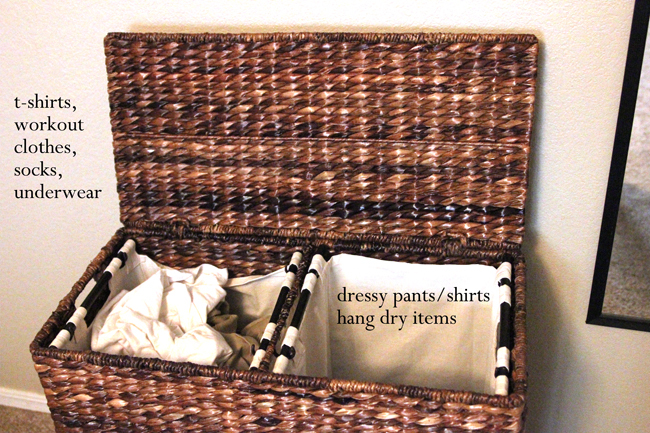 i need something like that because i have some things i like to hang dry and right now everything goes in one hamper, so if KC decides to help with the laundry.. i get cranky. lol.